Have a pile of old T-shirts that are neglected in your closet? Before you toss them out, there are many ways to upcycle them into new things that you will love. 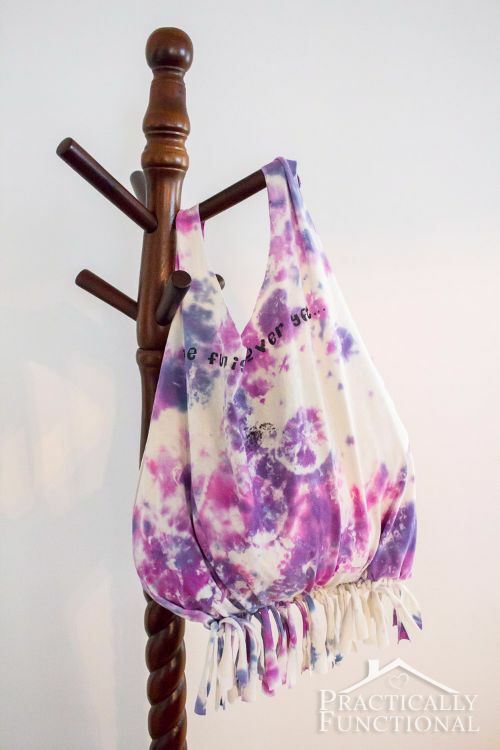 We have collected 14 awesome DIY ideas to upcycle old T-shirts. From pillows to rugs to necklaces, there is a project for you. Read on to be inspired, then get an old T-shirst and start crafting. 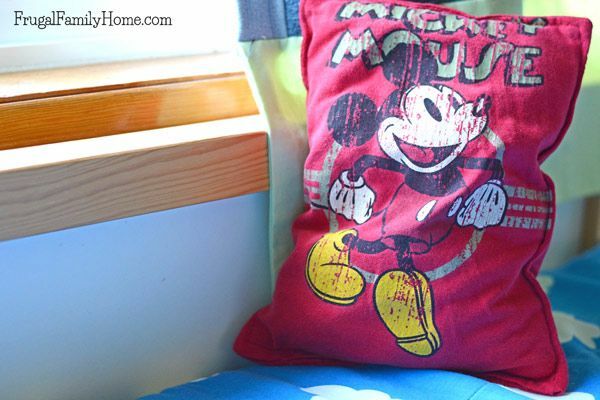 If you have any old graphic T-shirts, turn them into keepsake pillows. These pillows would add a cool touch to a child's bedroom or even a teen's. Check out the tutorial by Frugal Family Home. Not feeling that T-shirt anymore? With this quick and easy tutorial, you can transform that old T-shirt into a cute skirt by adding 1-inch elastic and matching thread. 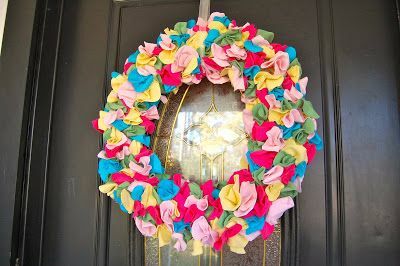 Imagine this lovely wreath hanging on your front door, adding a little color to your home's exterior. The project, which takes only two hours to make, can be viewed in this DIY tutorial. Forget tissue paper pom poms and opt for these durable T-shirt versions instead. 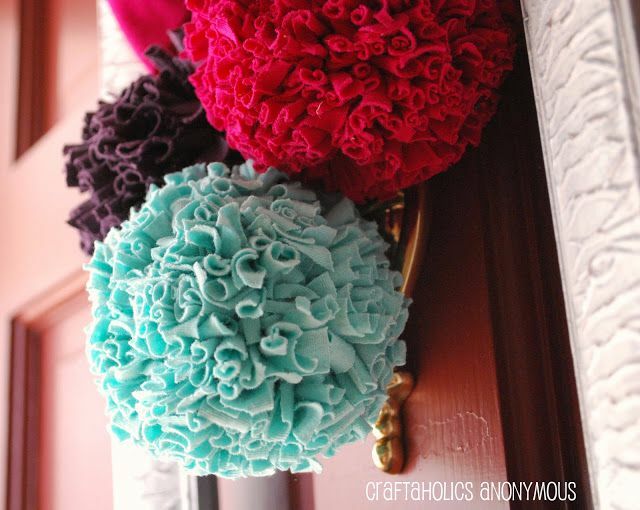 Once finished, you can add them to craft projects or even create stunning door decor. Check out this tutorial. Make your pooch happy with a dog toy made from your old T-shirts. 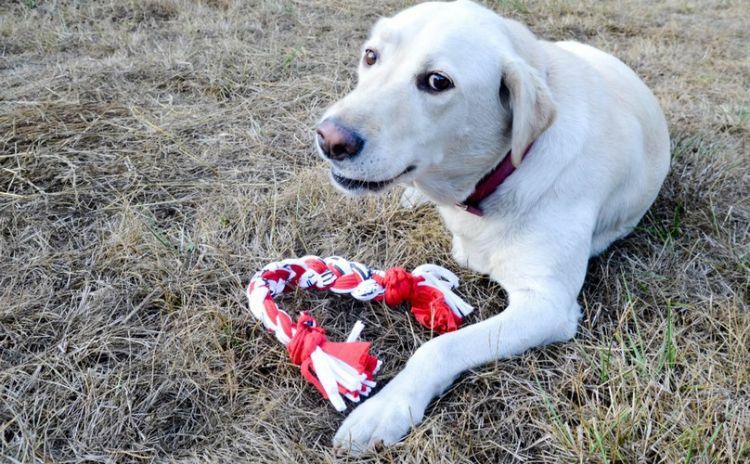 Watch at the new eco-friendly toy gets a workout from your favorite canine. To learn how, check out this quick and easy tutorial. This project is for an experienced sewer. 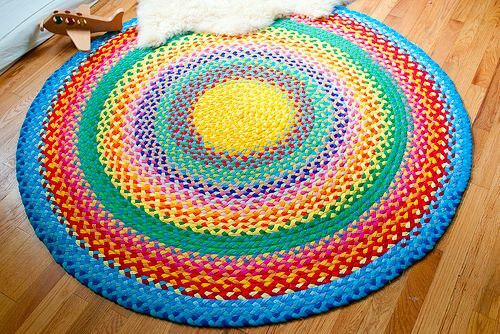 Although not an easy first-time DIY project, with determination and patience, you can create this lovely rainbow rug out of T-shirt strips. This rug would look fantastic in any room of your home to create a pop of color. Here is the tutorial to get you started on this masterpiece. 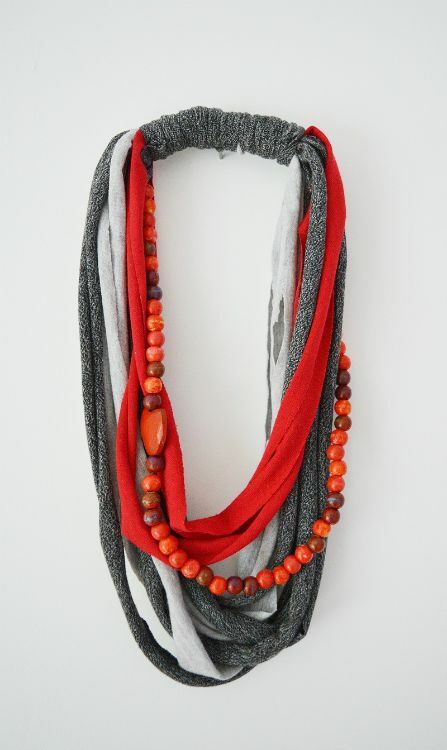 Complete your outfit with this necklace made from an old T-shirt. Grab some beads and glue and follow this tutorial. Customize the necklace by getting different colored T-shirts and beads. Go crazy! Need a tote bag to carry groceries or a tote bag to head down to the beach? Check out the video to see how to make this quick and simple no-sew DIY project that's also eco-friendly. This unique belt will look fantastic paired with your favourite denim jeans. 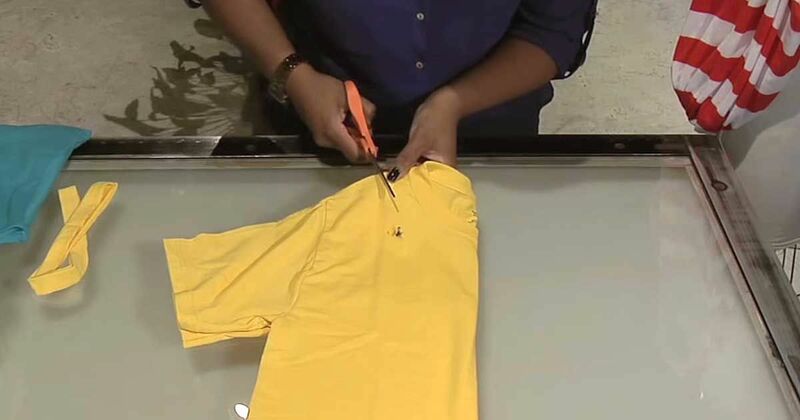 The project is super simple and all you need to do is braid T-shirt strips. 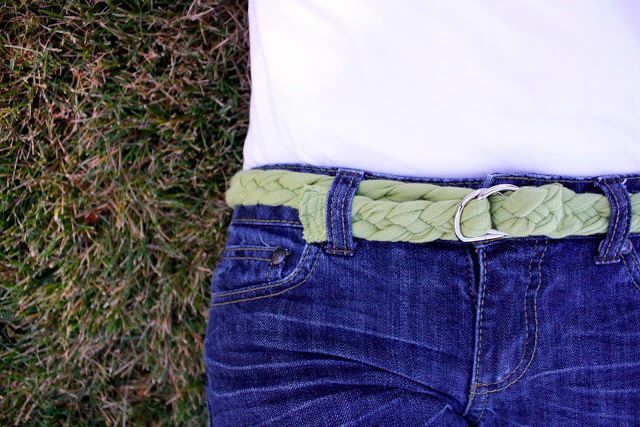 Learn how to make this belt by Delia Creates. Aren't the colors on this headband wonderful? Recycle old T-shirts and create this lovely head piece. This tutorial shows how to create the project. 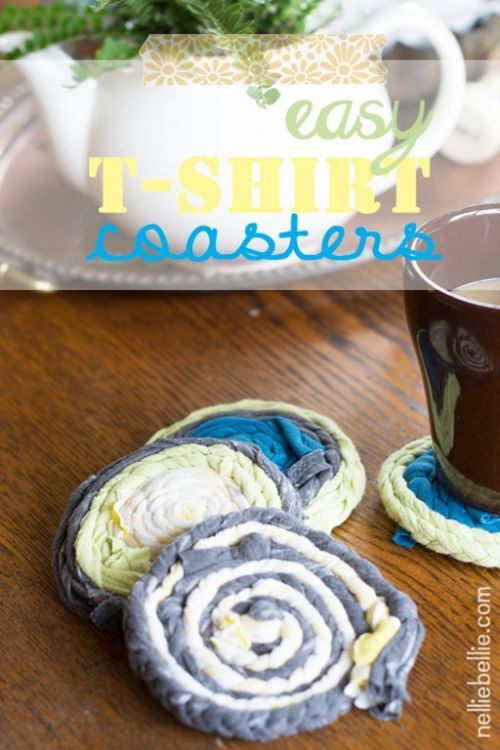 Protect your tabletops with these T-shirt coasters. They are easily customizable to your home color palette and so simple to whip up. Check out the tutorial here. 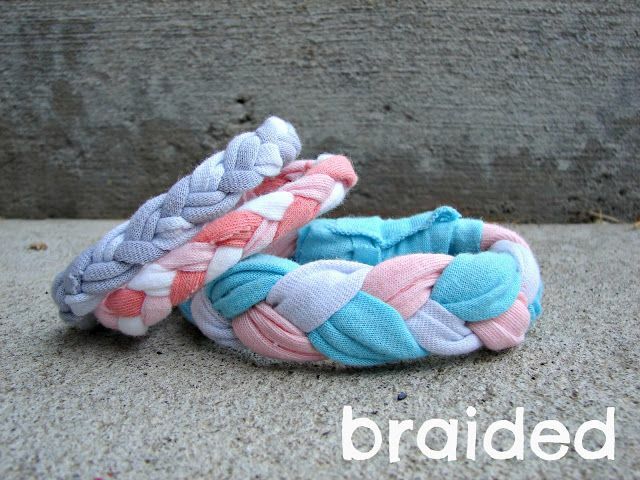 How cute do these braided bracelets look? This is a fun project to do with your kids. 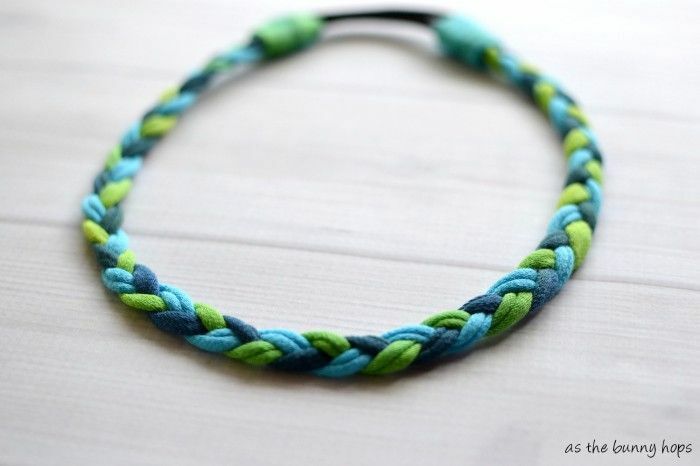 Create this braided arm candy by following this simple and easy tutorial. 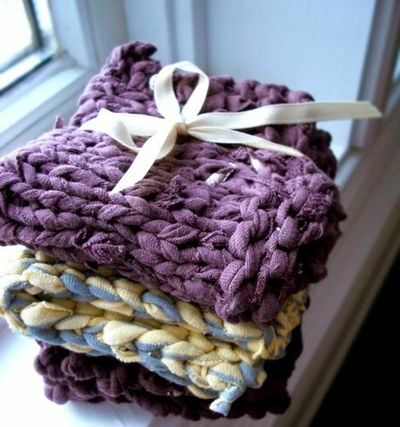 Create these eco-friendly dish cloths using old T-shirts. All you need is T-shirt yarn and knitting needles or a crochet hook. Follow the tutorial here. Have a little tot at home? 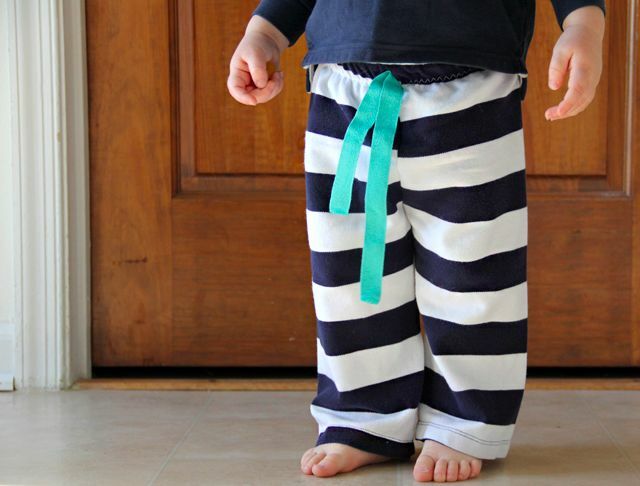 Upcycle your old T-shirts to create this super easy project to make drawstring pants by Me Sew Crazy. Find your next DIY project? Be sure to share with your friends on Facebook, Twitter and Pinterest!